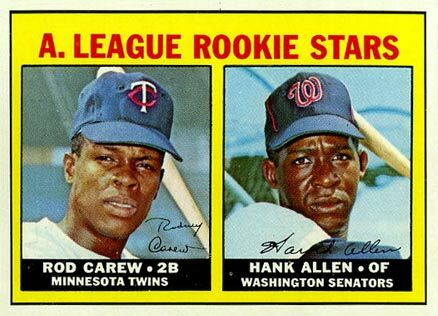 Featuring Hall of Fame rookie cards for Tom Seaver and Rod Carew, 1967 Topps Baseball combines large player images and a minimal design to create an appealing vintage release. 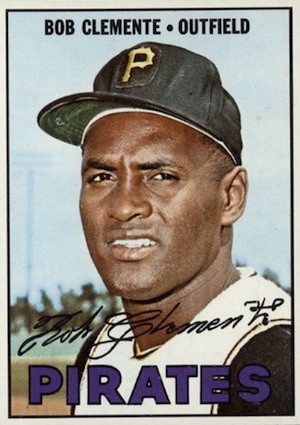 Finally breaking the 600-card barrier, 1967 Topps Baseball is another instance of a size increase from the flagship set, with the checklist expanding to 609 cards. Many collectors agree that the release is one of the best of the decade based on the simplicity of the design. This really allows the player images to be the main focus of the set. Shop for 1967 Topps cards on eBay. 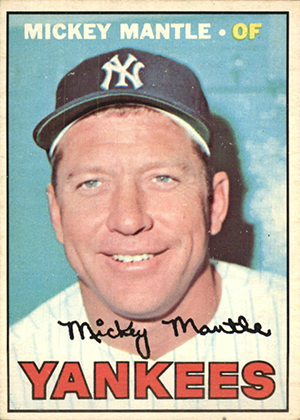 Among the most notable updates to the design, the familiar text boxes that normally house the player's name and team have been removed from the 1967 Topps card fronts. 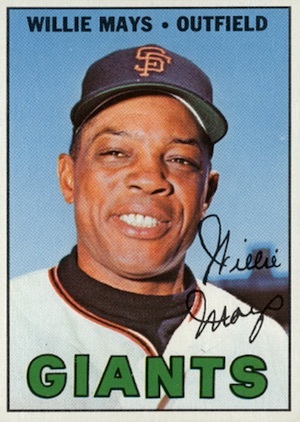 While that info is still present on the card, the name and team text is incorporated into the main player image, making the photography the focal point. 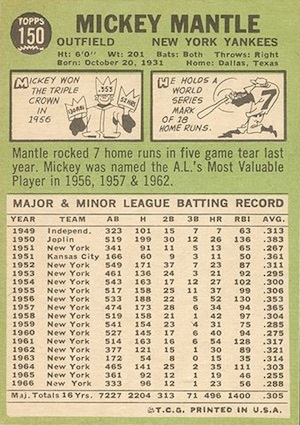 Unlike other designs that Topps used in the 1960s, the colorful block text at the bottom really makes the team name stand out without dominating the card. 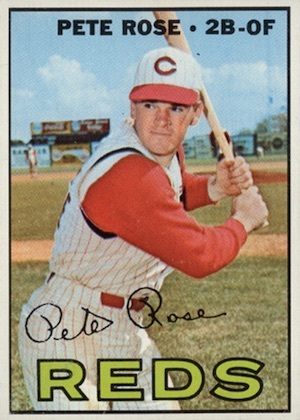 Card fronts also include the the player's facsimile signature. 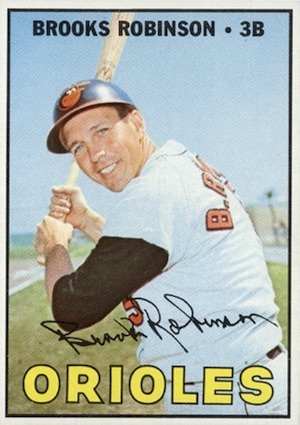 Finally, a discerning eye will notice that the dot used to separate the player's last name from their fielding position was removed in later printings. 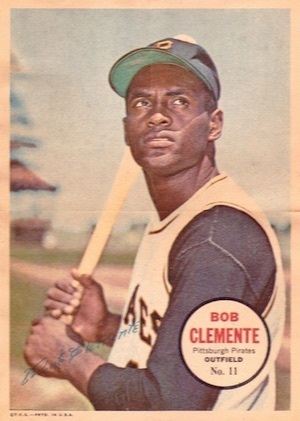 Design tweaks are not exclusive to the cards fronts in 1967 Topps Baseball. The backs showcase a vertical design, which allows more length for the season-by-season stats and still enough room for a short paragraph and the Topps cartoon. It is worth noting that lime green background makes the set more condition sensitive because it accentuates damaged corners and edges. 1967 Topps Baseball subsets continue the trends of the decade with World Series Highlights (#151-155) and League Leaders (#233-244). The majority of rookies are featured on the multi-player Rookie Star cards. One new addition is the checklist cards. Although the concept was nothing new, the design shifted from a generic checklist to floating heads for several star players. 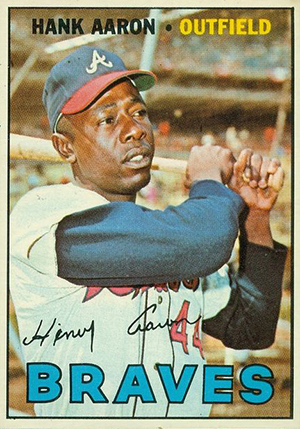 The high-number series is again the site of many subjects that appear less often compared to the other 1967 Topps cards. 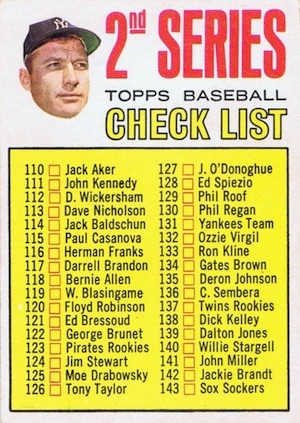 The fact that rookies for Rod Carew and Tom Seaver are found in this part of the checklist certainly helps increase values. The other Hall of Fame cards in the final series also see a similar bump. 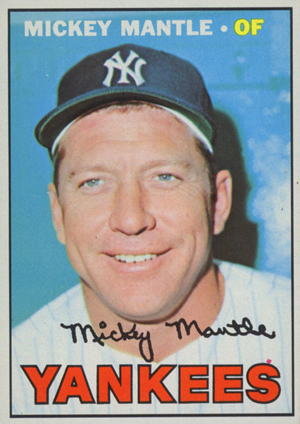 Strangely enough, while nearly every card in the 1967 Topps Baseball set features a player's facsimile autograph, there is one exception. The card for Milt Pappas, #254, omits the autograph entirely. Several other errors show up in '67 Topps, including card #47, which features a photograph of James Murray on the card intended for George Kornice. Multiple variations add to the master set count. 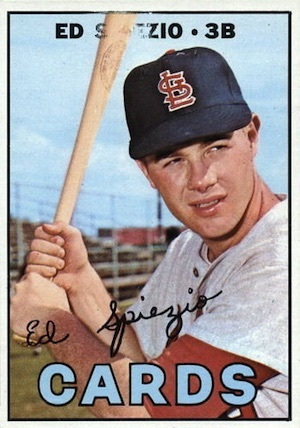 One of the key options is the limited Ed Spiezio card missing part of the his name. It commands a considerable premium. There is a corrected versions that is much more common. 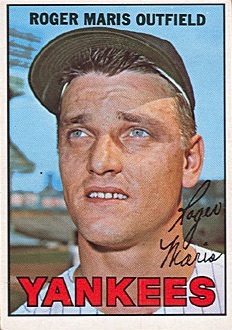 Also, while not technically a variation, Roger Maris had been traded from the New York Yankees to the St. Louis Cardinals and his main card notes the "Cards" on the front. 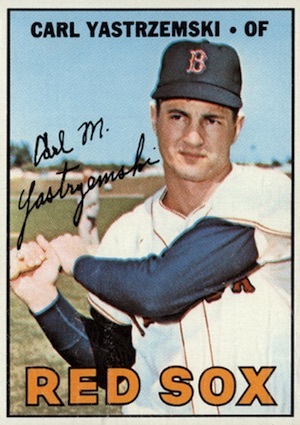 However, multiple blank-back proofs featuring Maris with the Yankees have also surfaced. 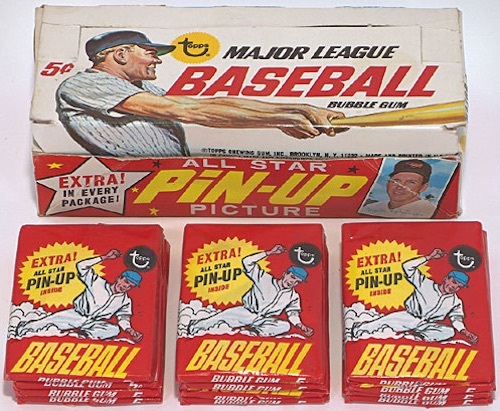 Officially known as All-Star Pin-Ups, the main insert in 1967 Topps Baseball is a 5" x 7" poster. The blank-back set totals 32 players and originally came folded in packs. This has resulted in additional damage and can make high-grades very tough to find. The Pin-Ups are numbered on the front and also include a facsimile signature. 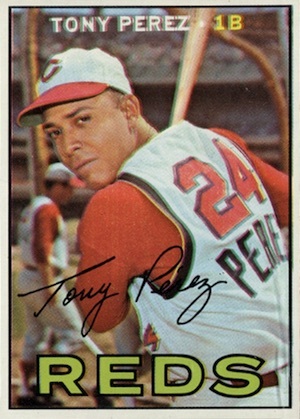 Although a Topps Venezuelan edition was printed again in 1967, it is not a parallel of the main set. The 338-card Retirado release is very rare and can yield big sums when they surface. 1967 Topps Houston Astors Rookie Stars # 51 NM-MT Low Pop!! 1967 Topps Houston Astors Barry Latman # 28 NM-MT Low Pop!! 1967 Topps Houston Astors Rookie Stars # 412 NM Low Pop!! 1967 Topps St. Louis Cardinals Nelson Briles # 404 NM-MT Low Pop!! 1967 Topps St. Louis Cardinals Pat Corrales # 78 NM-MT Low Pop!! 1967 Topps Pittsburgh Pirates Tommie Sisk # 84 NM-MT Low Pop!! 1967 Topps Pittsburgh Pirates Pete Mikkelsen # 425 NM+ Low Pop!! 1967 Topps Venezuelan Dave Concepcion TRUE RC Rookie Card SGC 84 Hobby's Finest! 609 cards. Shop for base sets on eBay. Really my favorite Topps set of all time – likely since it is the first one I collected as a kid. Superb design and great player selection. Still have not finished that darn high number 7th series after all these years. Cannot wait until the Heritage version in three years. 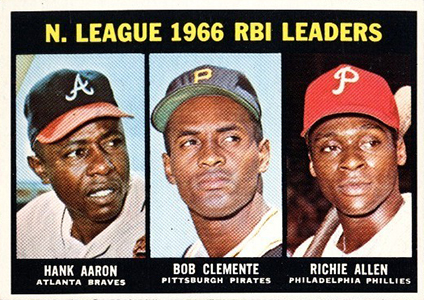 The 1967 Topps set may be the most beautiful set ever produced by Topps. It is one of my favorite sets. I am very fortunate that I was able to complete the ’67 set (all 609 cards) back in 1980’s, while old baseball cards were a lot cheaper back then, before the era of graded cards. It was a very challenging set to complete even back then. This is my favorite set and I remember it from my childhood. It was the first set of cards that I bought packs for. Very simple design with the team names in bold print on the bottom. 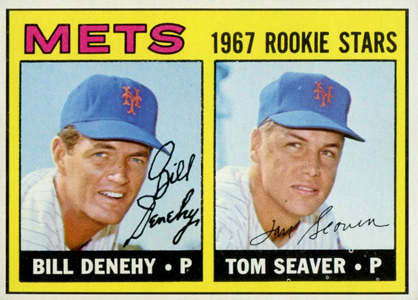 Seaver and Carew rookies highlight the set. Set contains many HOF’ers.